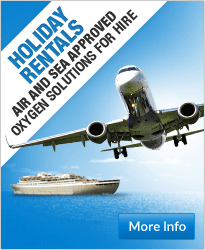 Oxygen Equipment Rental | Affordable Holiday Hire! Need an oxygen equipment rental? Thinking of taking that well deserved holiday, or just feel like a weekend break, but wondering how you will travel on oxygen? Pure O2 specialize in providing the latest portable and stationary concentrators for oxygen users whilst travelling. A holiday provides a change of scenery and a change from the routine of daily life ­- here at Pure O2 we believe arranging medical oxygen rental should be as smooth and stress-free a process as possible. Whether you live in the UK or are travelling from abroad, Pure O2 have many solutions to suit all requirements. Our specialist oxygen equipment rental department is open 24/7, with all our advisors fully qualified to help you make the most of your forthcoming holiday. For Pure O2 to provide you with the right portable concentrator, we will ask questions relating to your condition, your litres per minute, day usage, age, and so on. From the given details we can allow battery time, and any specific extra requirements, such as extra tubing/face mask, plugs, leads or chargers. Recent changes in airline policies have made it easier to allow patients to take our portable concentrators on board most major airlines, and we will make every effort to work closely with you to ensure that the airline is informed. 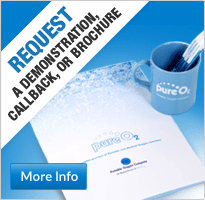 Before Pure O2 can hire (or sell) a concentrator, we will ask you for confirmation of your oxygen-rental requirements. This can be from your general practitioner / local hospital, or any medical professional, and is an extremely important document in order for any hire to proceed. For the rental to run as efficiently as possible, we will deliver your unit 4-5 days prior to your holiday, giving you the perfect opportunity to have extra time using the unit and getting to know the outstanding performance provided by your specific unit. Our promised aftercare takes you through your holiday safe in the knowledge that we are the only oxygen supplier to provide emergency backup units both inside and outside the UK, in case your rental should become lost, stolen or broken whilst abroad. Our simple measures will minimize any extra concerns you may have. 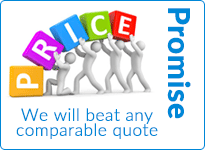 Our prices are very competitive, as our reputation depends on this, after all. We deliver to fixed UK & European addresses, UK hotels, or alternatively personal collection can also be arranged. All holiday rentals are VAT exempt for UK residents, with complementary delivery service, and collection service once your holiday has ended. Pure O2 have vast experience in making holidays and weekend breaks away stress-free for many oxygen users in the past. We regularly work closely with charities, care homes, children’s hospitals and individual users. Our promise is to take away the anxiety of travelling when on oxygen, giving you the confidence to rely on a reputable company who know the industry inside and out. Careful planning is essential for all oxygen users – let Pure O2 ensure your trip goes smoothly.